Energy efficient house plans can greatly reduce utility costs for the life of the house. While many consumers are under the impression that Energy Star heating and cooling systems make an energy efficient house, design decisions such as site orientation, ventilation, and balancing solar loads make a far greater impact on the overall energy use. 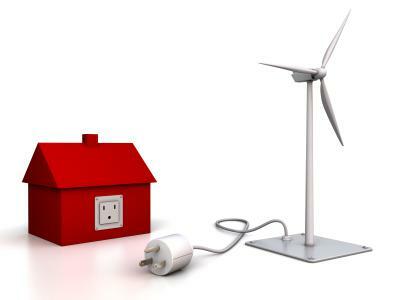 In addition to reducing the energy consumed, before building a potential homeowner should also consider new alternative energy sources for homes available in their region. There are many websites claiming to sell energy efficient floor plans, however few meet all of their claims. The best house plans will be carefully customized to the region and site. The plans should also be combined with other elements, such as a detailed landscaping plan, to create a home that is energy efficient. Here are five key elements to look for when determining if a house plan is truly energy efficient. A floor plan that encourages adequate ventilation for all rooms is important for an energy efficient home. An energy conscious floor plan should not only have properly placed windows that can be opened, but should also have a room placement that encourages constant air circulation. The shape of the floor plan and orientation of the building can greatly influence the energy efficiency of the building. The most efficient design will vary depending on the region. In cold climates, for example, houses may have a rectangular floor plan oriented to catch as much east and west sun as possible. Talk to an architect for the best general shape and site orientation for the greatest energy efficiency. The floor plan for an energy efficient house should seek to balance the benefits of daylighting with the potential hazards of an increased solar cooling load. The correct design often depends on the region. Warmer regions may reduce the amount of east and west windows at the expense of daylighting to reduce a solar cooling load. In cooler regions, reducing fenestration may not be particularly important when compared to other goals. HVAC systems are responsible for heating, cooling, or ventilating a home. When choosing a system, it is essential not only to pick a product that is energy efficient, but also properly sized for the space it will be servicing. Ductwork and other supporting systems should also be designed and constructed to minimize any energy waste and the system should be placed in an area for maximum efficiency. Although energy efficient HVAC systems can sometimes cost more than their traditional counterparts, there are often state and federal tax rebates available to help offset the initial cost. Many manufacturers also offer estimated energy savings for their products; giving the consumer a way to evaluate the true cost of each system over time. Carefully considered construction details will further add to the energy efficiency of the home. In cold climates, the exterior walls may be slightly wider to accommodates more insulation. In warmer climates, overhangs and covered porches may provide shade for windows while still allowing daylight to illuminate the interior. Choosing the appropriate building materials and products is also essential. Green building materials often reduce the embodied energy within a building by using recycled or low energy products. Other materials, such as double paned windows, can greatly reduce direct energy loss when compared to their traditional single paned counterparts. Consumers who are concerned about the environmental impact of their home, they should seek a LEED certified designer to build a green home. For a truly energy efficient house plan, it is also essential to consult a licensed architect. While many consumers believe that architects are only needed for large or expensive construction projects, there are many excellent professionals that specialize in modest residential construction. A good architect will be able to meet energy and aesthetic goals while also working within a reasonable budget.